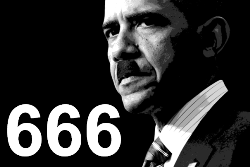 SWITZERLAND, Zurich — Unable to execute a bio-terror attack on the Pan American games in Canada, it’s highly likely that the Obama administration (at the behest of the CIA in Switzerland) is plotting a terror attack or a man-made earthquake during the 2015 Special Olympics World Summer Games which will be held in Los Angeles from July 25 until August 2, 2015. Exactly what kind of terror attacks are planned for the 2015 Special Olympics World Summer Games is not known, but a 9/11-style attack, beheadings, bio-terror attack, conventional bombing, gun-related massacre, hostage crisis, siege, and/or suicide bombing are the most likely terror scenarios. The city of Los Angeles could also suffer a Mumbai-like terror attack during the 2015 Special Olympics World Summer Games in which multiple locations are attacked simultaneously. Consequently, the entire city of Los Angeles may come under siege by Special Forces (i.e., professional terrorists) with black ski masks. That being said, there is always the chance that the feds could engineer a so-called “accident” or “natural disaster” (e.g., fire, gas explosion, stadium collapse, stampede, vehicle manslaughter attack, etc.) during the 2015 Special Olympics World Summer Games which would kill and terrorize thousands of athletes and fans in attendance. As foretold in the Bio-Terror Bible, the genesis of the 2015 bio-terror pandemic will be a “made-for-TV event” whereby millions will witness a bio-terror outbreak on “live” television. 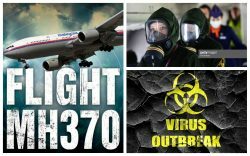 The bio-terror attack will occur when the agents anthrax (Bacillus anthracis) and/or smallpox (Variola major) are released into a controlled environment such as the 2015 Special Olympics World Summer Games. Back on June 7, 2015, the Toronto Sun published a report entitled “Could Terrorists Lay Claim to Random Mishaps at Pan AM Games?” which revealed that “…terrorists could win a medal […] by doing something like taking responsibility for an accidental food poisoning outbreak at the athletes’ village”. The report also stated that the 25th World Conference of Disaster Management examined “security, terrorism, natural hazards, climate change, privacy breaches, cyber-attacks, virus outbreaks and a host of other possible threats for events like the Pan Am Games in Toronto”. Consequently, a bio-terror attack may also be in play for the 2015 Special Olympics World Summer Games. Back on February 24, 2015, it was reported that a mystery tunnel was found near the venue of Pan Am Games in Toronto, Canada. The report suggests, albeit in a de facto manner, that security of high-profile athletic events such as the 2015 Special Olympics World Summer Games could be compromised. The notion that all is not well at the 2015 Special Olympics World Summer Games was confirmed on July 23, 2015, when Fox News published a report entitled “Some Special Olympics Competitors Forced to Sleep on Los Angeles Gym Floor”. The timely report was evidently designed to highlight the 2015 Special Olympics World Summer Games on a national level while foreshadowing a possible hostage scenario in which athletes and coaches are “forced” to do things against their will. Lastly, in what appears to be pre-California terror programming, Fox News published a report on July 21, 2015, entitled “Los Angeles Police Find Stash of 1,200 Guns in Dead Man’s Home”. The report was likely fabricated in order to raise the notion of gun-related violence in Los Angeles just prior to a staged attack. Although the impending man-made earthquake attack could theoretically strike anywhere in the state of California, it will most likely transpire in Los Angeles or San Francisco. Regardless of the earthquake’s epicenter, nuclear reactors in California will likely rupture, rendering the West Coast “radioactive”. In a January 17, 2015, report entitled “Officials Revisit Seismic Safety Measures for Los Angeles”, it was revealed that after a year-long study of L.A.’s vulnerable infrastructure, city officials called for an urgent seismic fix before the expected Big One hits. The report states that “a 7.8-magnitude or greater earthquake expected along the San Andreas Fault, studies say, would ignite 1,500 fires, wreck 1,500 buildings, damage 300,000 more and leave 255,000 residents homeless, injuring 55,000 people from Palm Springs to Los Angeles”. In what appears to be an ominous sign that man-made earthquake terror in California is imminent, the trailer for the new film “San Andreas” (2015) was released on December 9, 2014, 6 months prior to the film debuting in theaters. The premature release of the trailer was evidently executed in order to psychologically prepare Californians for the “Big One”. Predictably, the propaganda film “San Andreas” (see trailer) is about an unprecedented earthquake that strikes California. Dwayne Johnson, aka “The Rock”, is a Los Angeles Fire Department rescue-helicopter pilot who, along with his ex-wife, attempt to leave Los Angeles in order to travel to San Francisco in order to rescue their estranged daughter from the earthquake. In the event that a man-made earthquake strikes California, its nuclear reactors will predictably suffer a “meltdown”. Coincidentally, on December 3, 2014, Sputnik News published a report entitled “Seismic Faults Pose Risk to California Nuclear Power Plant”, highlighting the dangers that earthquakes pose to nuclear reactors in California. In what appears to be pre-California earthquake terror attack conditioning, it was reported on November 14, 2014, that a California company is ready to start distributing an earthquake warning app, something that would definitely come in handy prior to a massive earthquake. According to the report, Early Warning Labs has teamed up with the U.S. Geological Survey to create the QuakeAlert app over the next three years. In short, QuakeAlert is a smartphone app and in–home alarm system that notifies users within 30 seconds of an incoming earthquake, confirming once again, albeit in a de facto manner, that major earthquakes are indeed man-made. Back on December 15, 2014, the LA Times published a report entitled “Earthquake Could Destroy L.A.’s Water Lifeline” which states that water aqueducts cross the San Andreas fault a total of 32 times. Therefore, in the aftermath of a man-made earthquake, water will predictably be cut off for weeks if not months, likely killing thousands. The latest California earthquake propaganda started on March 10, 2015, when the LA Times published a report entitled “Risk of 8.0 Earthquake in California Rises, USGS Says”. A day later on March 11, 2015, Fox News published a report entitled “USGS Report Says Risk of Mega-Earthquake in California within Next 30 years Increases”. That same day, USA Today published a report entitled “The Big One More Likely, Earthquake Forecast Indicates”. 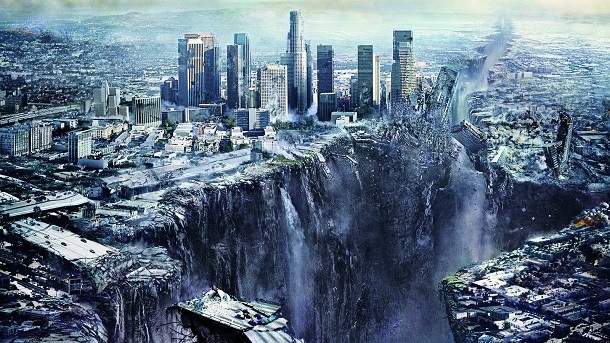 In what appears to be pre-California earthquake terror propaganda, Science Times published a report on May 26, 2015, entitled “San Andreas Ready to Blow – In Theaters and In Real Life”. Needless to say, life is about to imitate art in a major way. That same day, May 26, 2015, Los Angles Mayor Eric Garcetti stated that he hopes the new earthquake movie ‘San Andreas’ prepare LA for the Big One. Needless to say, the release of the propaganda film “San Andreas” (2015) was designed to coincide with an unprecedented earthquake in California. A day later on May 27, 2015, a Dutch man reportedly predicted that an 8.8-magnitude earthquake would strike California on Thursday, May 28, 2015. The CIA-spawned publicity stunt was evidently designed to foreshadow the notion that a massive earthquake in California is imminent. Lastly, on July 21, 2015, CBS San Francisco published a report entitled “USGS Scientist: Major Quake on Hayward Fault Expected ‘Any Day Now’”, confirming, albeit in a de facto manner, that a major man-made earthquake in California is imminent.